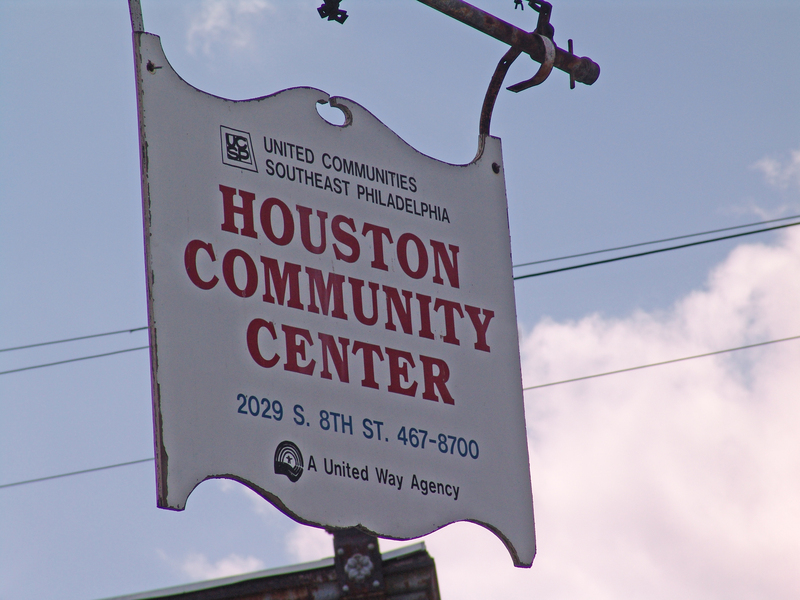 United Communities Southeast Philadelphia is the result of several mergers of existing settlement houses. The oldest of these settlement houses dates back to 1847 when the Philadelphia Society for the Employment and Instruction of the Poor built the House of Industry west of 7th on Catharine Street. This location served as a shelter, mostly for immigrants from the British Isles, who would work making shoes, clothing, rugs, baskets and brushes in exchange for food and shelter. As the neighborhood changed, so did the emphasis of the House of Industry. As Italian immigrants replaced the English speaking immigrants in the neighborhood, the need moved from shelter to English language and citizenship classes. The House of Industry recognized these new needs and complied, providing the necessary classes as well as recreational and educational clubs. The Southwark Club, known today as Southwark House, began as a women’s club in 1900, organized by Mrs. A.R. Ramsay. This group joined with working boys and girls clubs, a kindergarten, and a milk station. 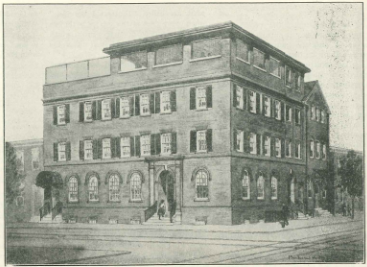 In 1906, with funds from the Philadelphia Ethical Society, the Southwark Club purchased four adjacent houses at its current location at Front and Ellsworth Streets. Mrs. Samuel Fels, a neighborhood woman of means helped make the houses usable. The Southwark Club moved in and became the Southwark Neighborhood House. St. Martha’s House, later to become the Houston Community Center at 8th & Snyder, was also founded in 1900. In 1921, the House of Industry, Southwark Neighborhood House, and another settlement, Workman Place Neighborhood House formed the Welfare Federation. The settlements remained separate entities for over two decades. In 1946, a combined board was formed by Workman Place Neighborhood House, Southwark Neighborhood House, and Stanfield House. They were called, collectively, United Neighbors Association. The following year, the House of Industry moved to its new location, a former Methodist church on Catharine Street between 6th & 7th Streets, and merged with United Neighbors. Started in 1951, the Hawthorne Program, later known as the Hawthorne Family Center and located at the Palumbo Elementary School at 11th & Catharine Streets, became a part of United Neighbors Association. In 1963, United Neighbors, by now a member of the Philadelphia Association of Settlements, joined with six other association members to form the Delaware Valley Settlement Alliance. By the end of the year, the Alliance had hired an executive director and a secretary. They had an office and a small grant from The Philadelphia Foundation. The following year, United Way of Southeastern Pennsylvania approved a small allocation for the Alliance. One of the functions of the Delaware Valley Settlement Alliance was to study and make recommendations regarding the member settlements. At the prompting of United Way, the Alliance undertook a study of the South Philadelphia settlements. 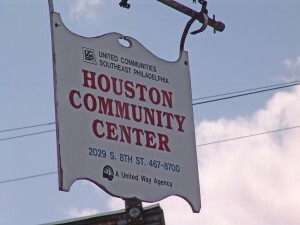 As a result of their recommendations, in 1969, United Neighbors merged with the Houston Community Center to become United Communities Southeast Philadelphia. Traditionally, United Communities settlements played pivotal roles in the retraining and adjustment of new immigrants and persons who were socially and economically ill-equipped for self-sufficiency in Southeast Philadelphia. United Communities continues this tradition by providing ESL classes, training and support groups for young parents who lack effective parenting skills, subsidized afterschool programs, job training and job readiness classes, in-home weatherization assistance to hundreds of families to make their homes safe and efficient, budget and mortgage counseling to families paying high rents who are helped to purchase homes with affordable mortgages that allow them to develop equity in their properties, assisting homeowners who are faced with foreclosure, case management services and a variety of initiatives to ensure that the agency remains fully engaged with the community. United Communities continues to reach out to socially and economically disadvantaged groups in Southeast Philadelphia to help them strengthen their capacity to care for themselves and contribute to their communities. In addition, major environmental changes in Southeast Philadelphia (development along Columbus Boulevard, the closing of the Navy Base and the Avenue of the Arts) are both threats and opportunities. Helping communities and neighborhood leadership organize themselves to respond to these changes is a United Communities priority.